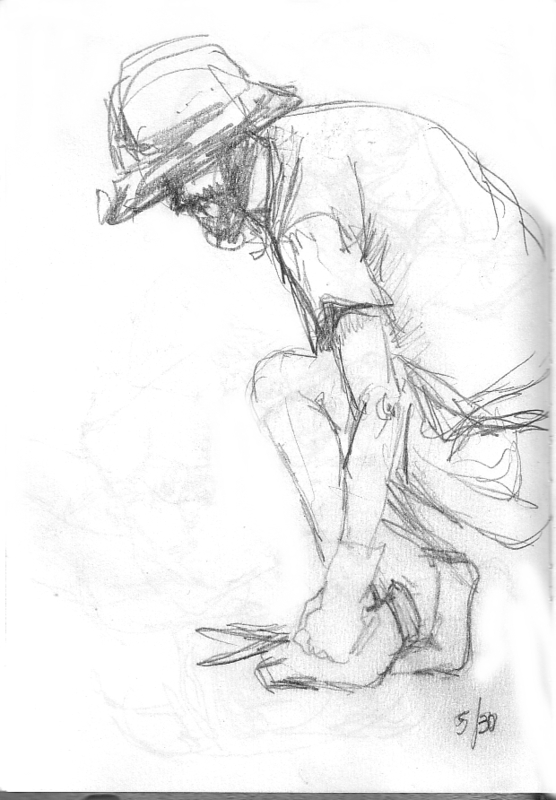 Saturday I did a lot of gesture sketches and tried capturing Michael as he worked in our yard. Here are the best of the sketches, at least they look human. Michael was able to recognize himself, which was a good sign. 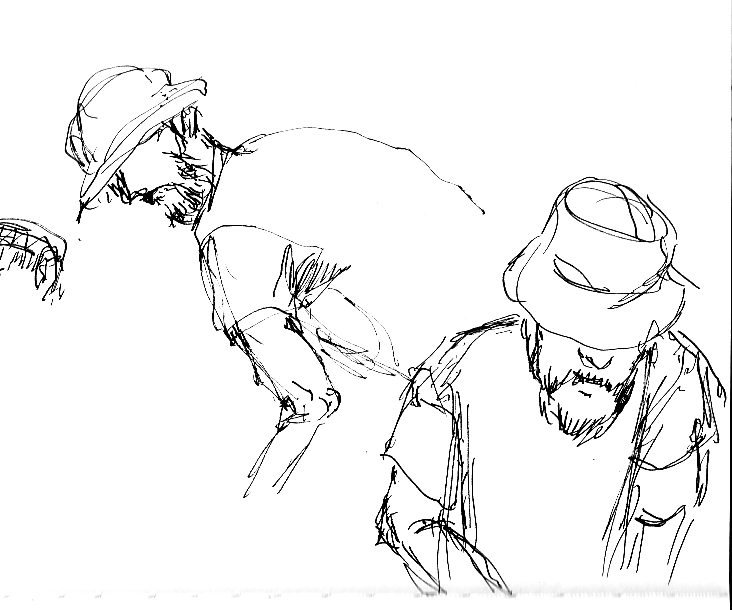 I love this kind of sketching where you focus on what you are seeing and not bothering about the result. Pingback: bisnis-mudah.com » Blog Archive » Every Day in May: Day 30 – Gardening Sketches « See. Draw. Share.